Back to resuming the task of trying out some new Michigan restaurants. 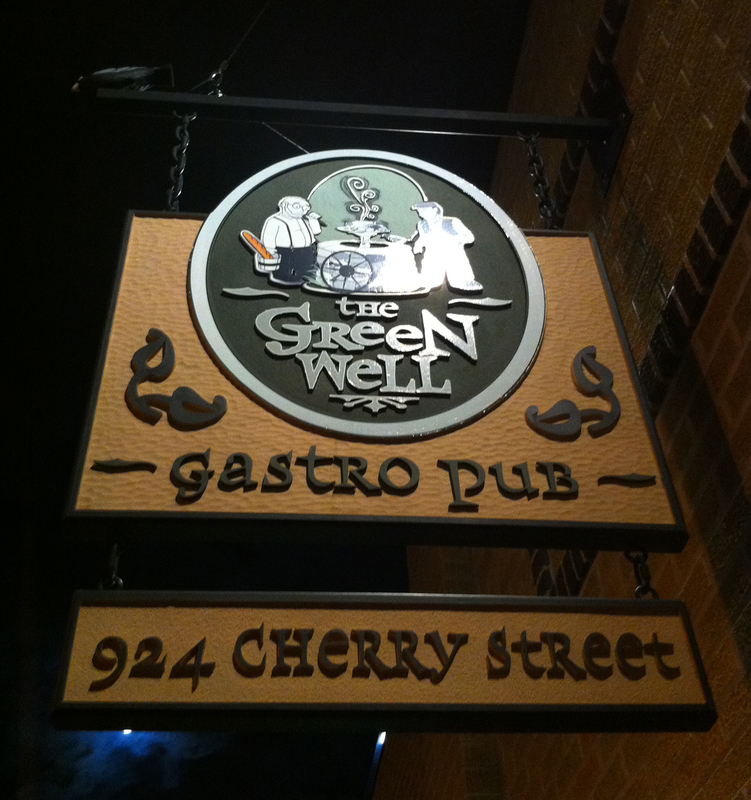 Friday night in Grand Rapids we ventured to a place that refers to itself as a Gastropub. Now, the etymology of Gastropub – describing a high-end pub or restaurant – is British; but apparently the term is making its way even to places like Grand Rapids, where savvy restaurateurs are eager to exploit the term. That might sound a bit cynical, but it was my first reaction when I heard that we were going to hit a Gastropub. 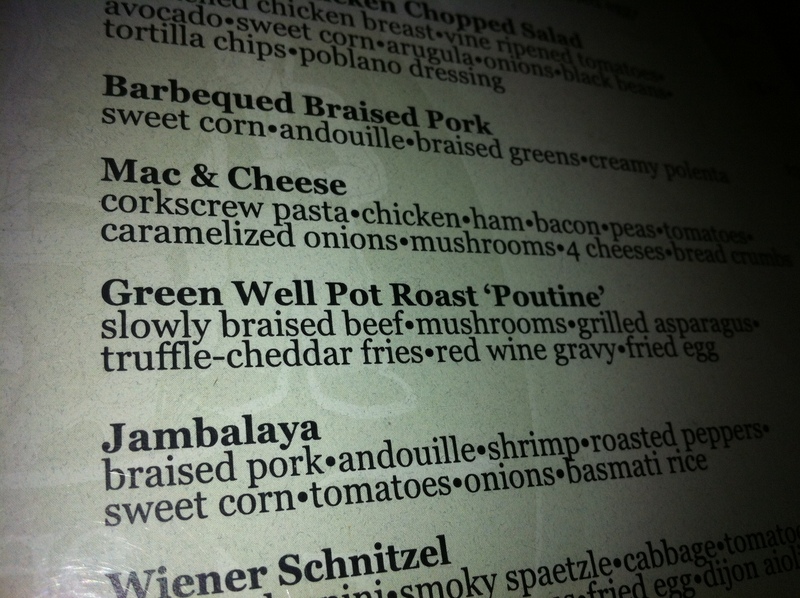 Needless to say, soon after we entered the Green Well on Cherry St. in Eastown, my concerns quickly evaporated. It’s an artsy, neighborhood restaurant that sources much of its food locally, and has solar panels on their roof to offset their electrical costs. Nice. Typical for a Friday night in many places in GR, there was a 40-minute wait for a table, so we got drinks and hung out by the bar for a while. 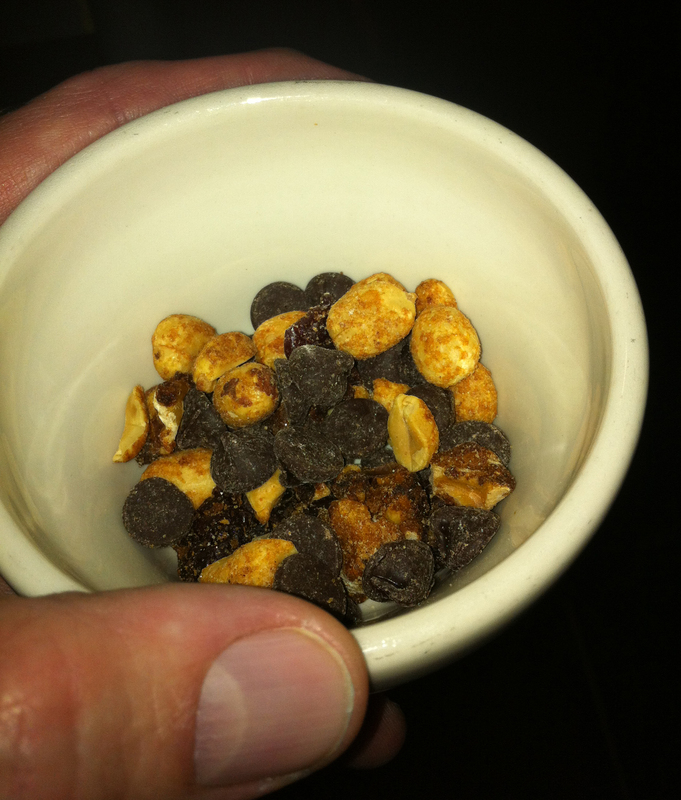 One of the hosts soon appeared offering samples of a trail mix with dried cherries, semisweet chocolate, walnuts, etc… Scrummy* example #1. Then when we sat down at our table we got a breads & spreads plate to wait for Jana as she had a long day at work. The breads included some crispy flatbread and chewy/crispy slices of a loaf with olives in the bread. The spreads included a tapenade and a spicy red pepper spread, but the standout was a Gorgonzola cheese–hummus mix that was superb. Scrummy example #2. And here’s how it appeared when presented in front of me. Very, very Scrummy. 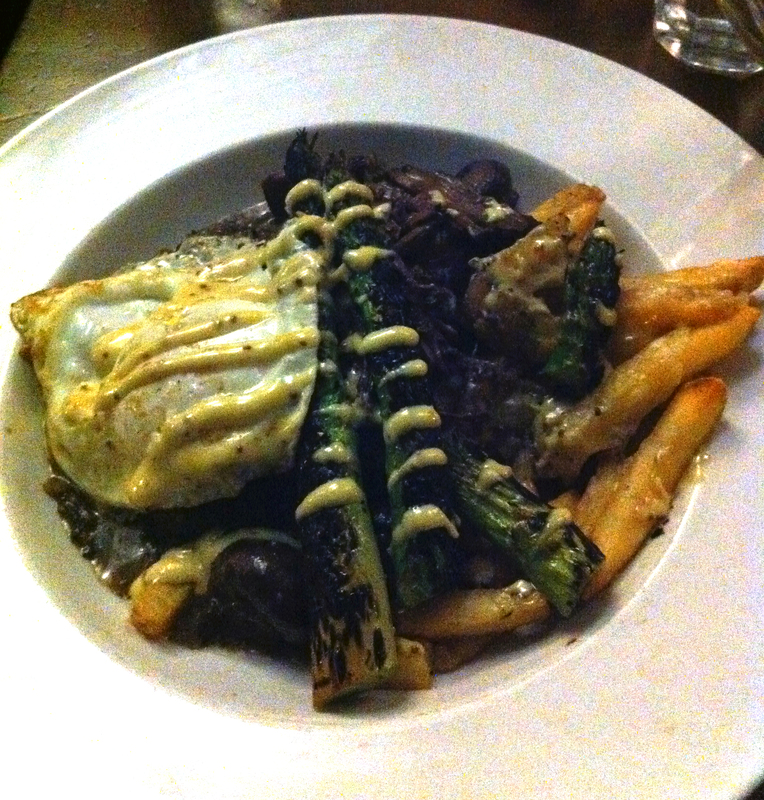 The pot roast was nice and rich, the asparagus was crisp… a nice meal. The rest of the table had Turkey and Cuban sandwiches, and Fish Tacos. All were pronounced excellent… if they didn’t use the term Scrummy yet, they should have! *OK, I’m all about on working Scrummy into the popular vernacular… and it’s appropriate for this discussion, ’cause as with Gastropub, the word’s etymology is British. Basically, it’s just a combo of scrumptious and yummy. To be honest, the first time I heard it was on “New Girl” (an uneven sitcom, but has some funny bits), but it does have a background as an actual term, so says the urban dictionary. So join me in working Scrummy into your food conversations when you can. Or don’t. It’s up to you.